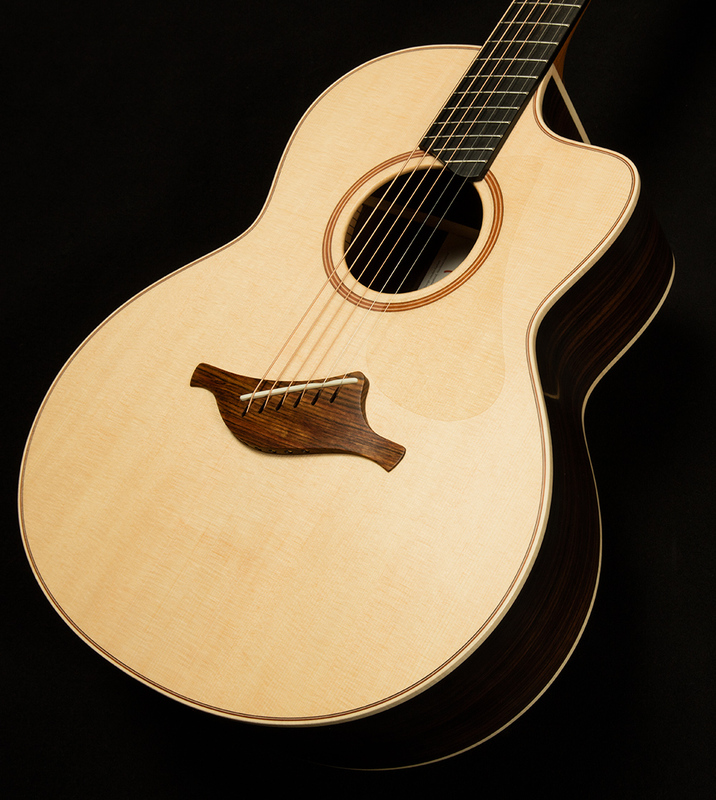 If you're a fan of fanned frets, you will be delighted by this Lowden F-32! 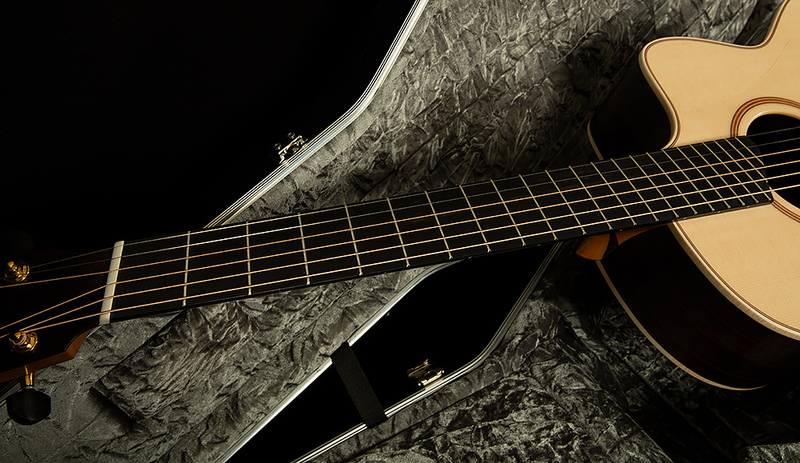 Putting the neck aside for a moment, it offers a plethora of sonic delights. 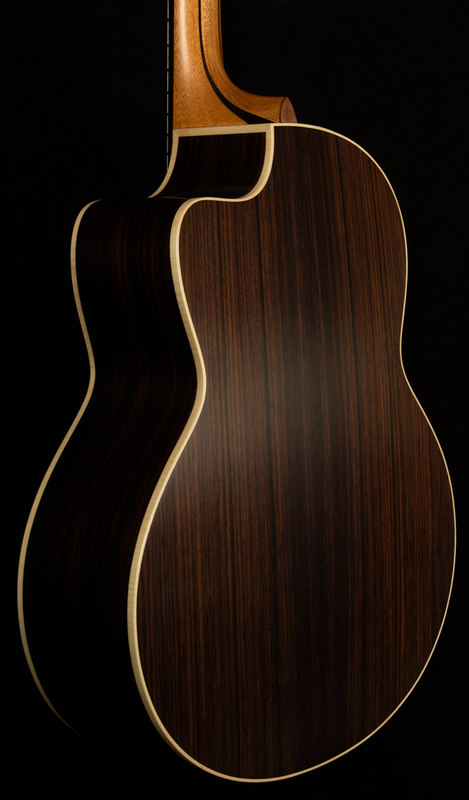 The AAA Sitka spruce top and the East Indian rosewood back and sides work together to produce a truly exemplary sound. 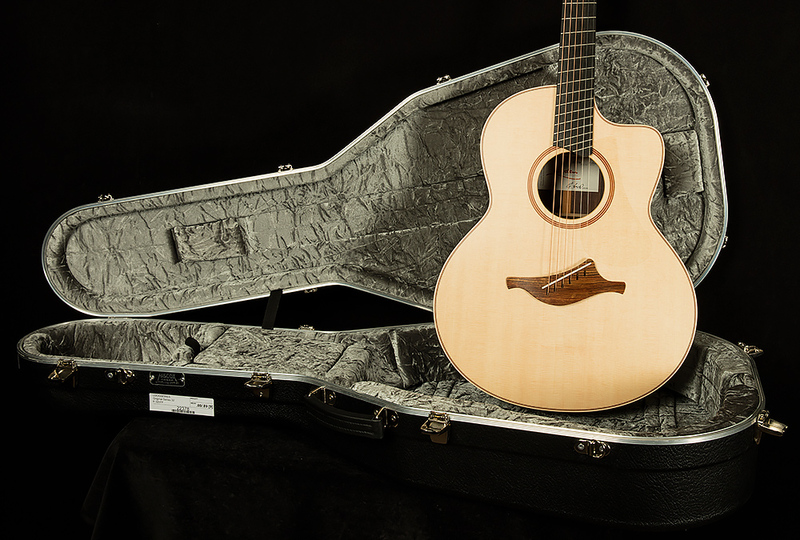 This serial has deep, piano-like bass response, but it also produces a strong fundamental in the low-midrange, which allows it to maintain exceptional clarity and note separation. 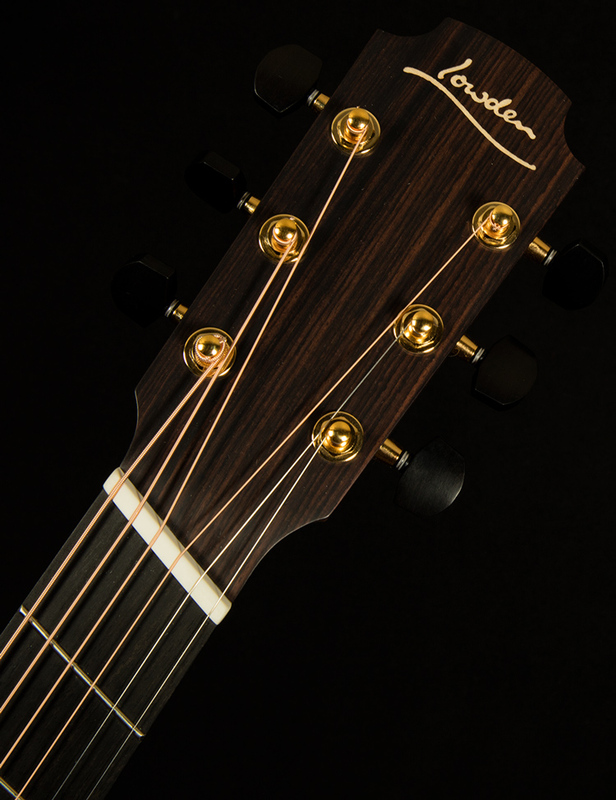 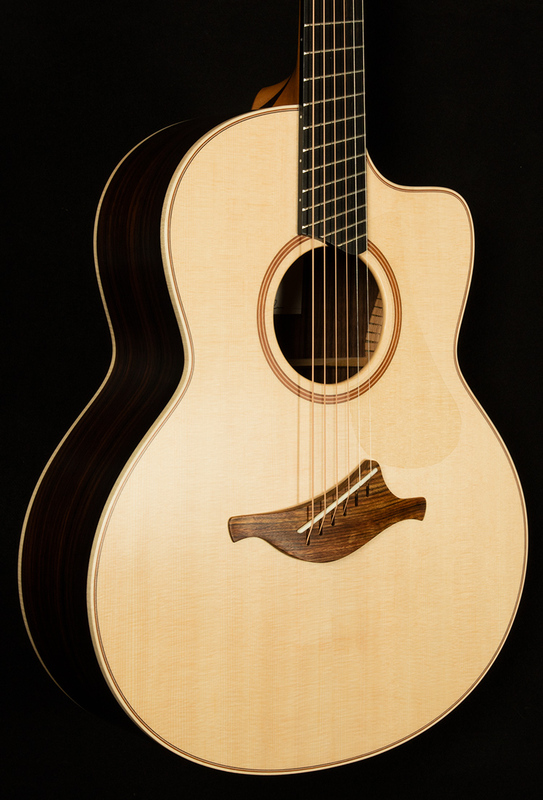 The highs are glassy, sparkly, and open, so this guitar certainly has that iconic lush, atmospheric Lowden sound! 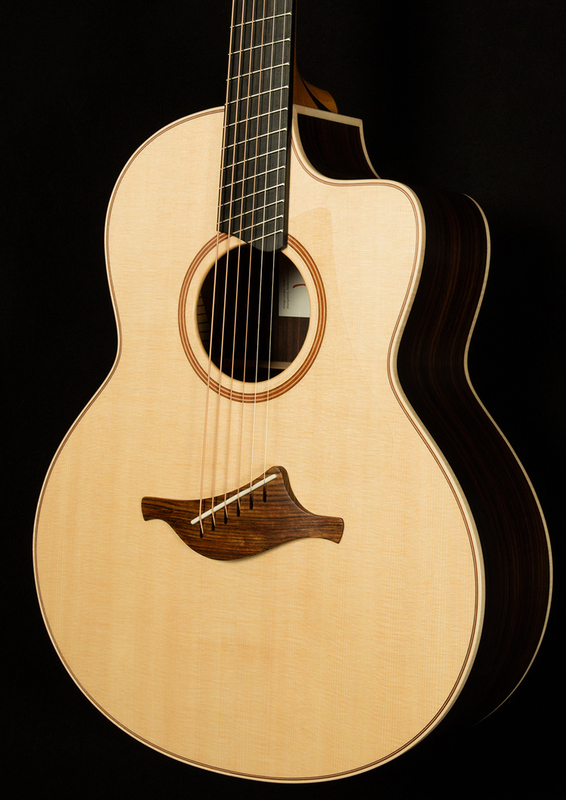 The fanned fret construction unlocks a whole 'nother side of the beast, though. 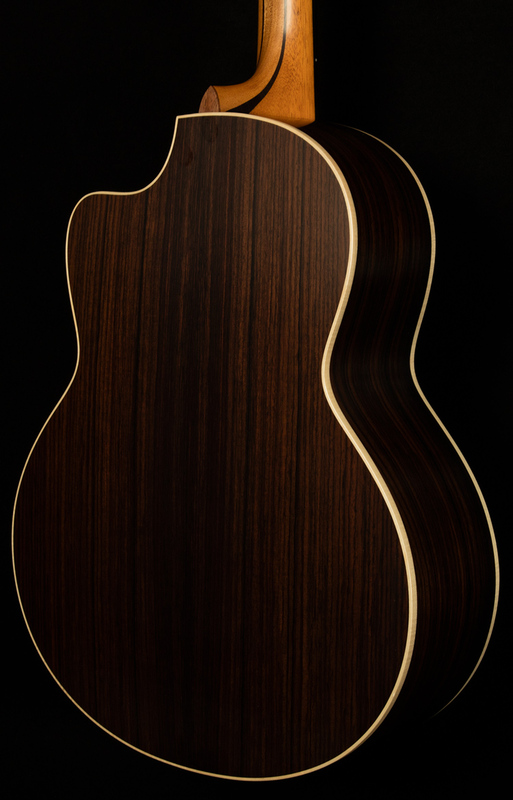 Basically, asymmetrical fanned frets allow the builder to make the scale length longer on the bass side and shorter on the treble side. 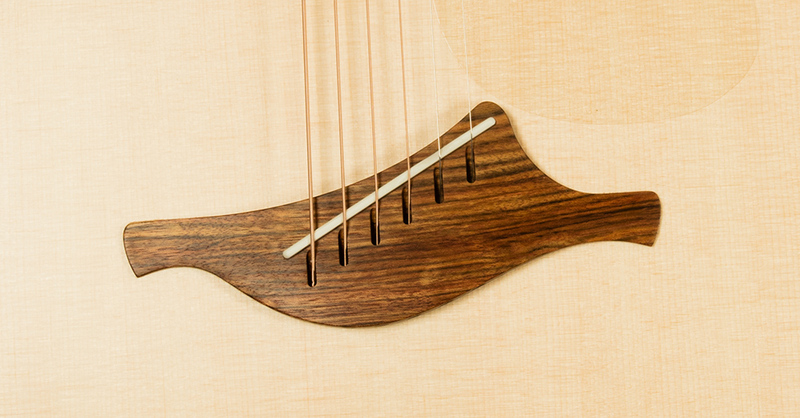 According to George Lowden, this makes for deeper, clearer bass and fatter, more bell-like trebles (you can see the man himself explaining it here if you are so inclined). 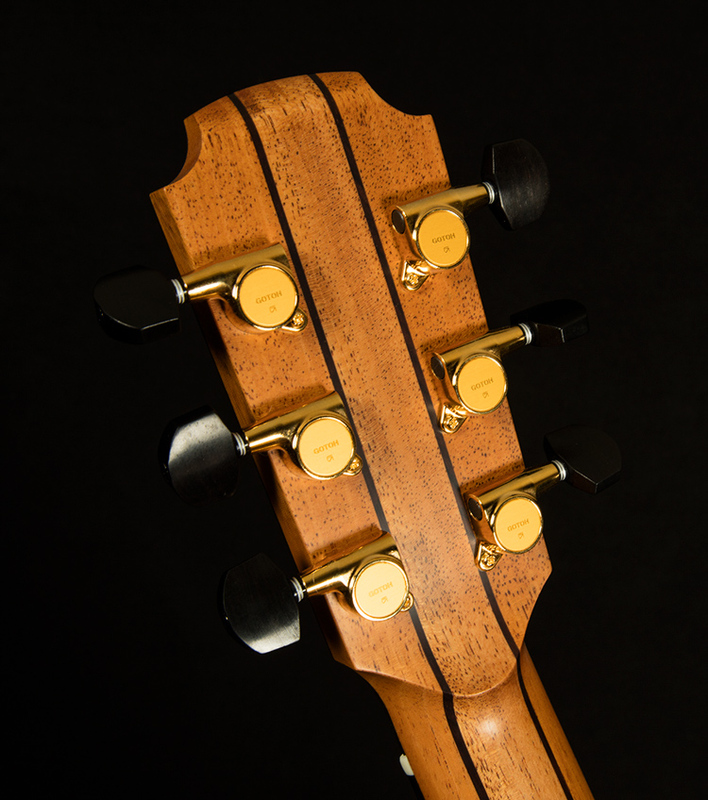 The extra tension also means you can use all sorts of wacky low tunings and still get an impeccably clear low end! 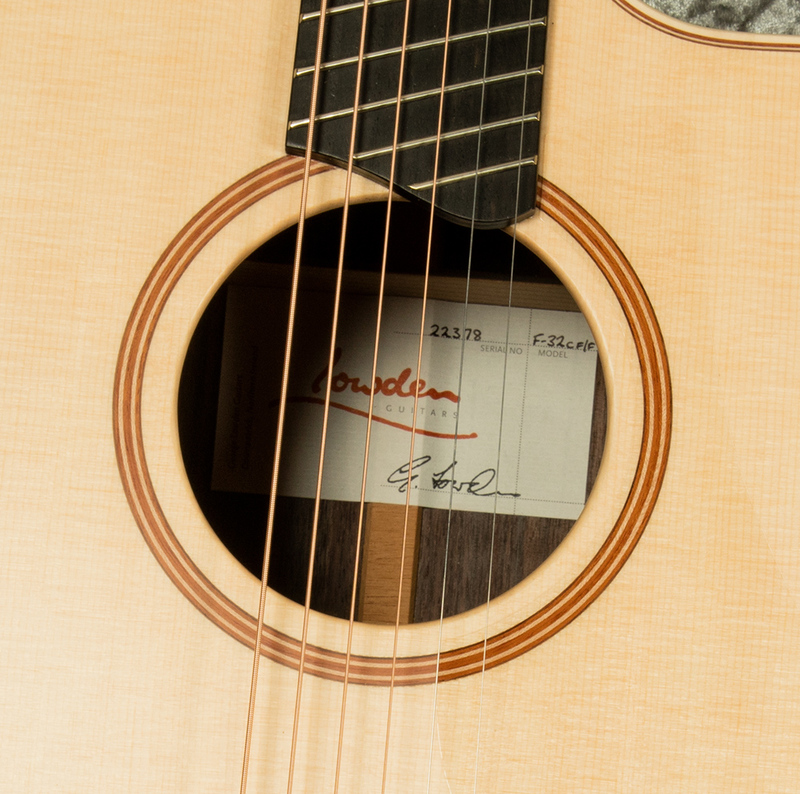 Any fingerstyle player with a love for alternate tunings and a desire for deep bass and fat trebles will find lifelong inspiration in this lovely Lowden!